Including a naughty speech from Prince William and a partying beagle. Prince William has had seven long years to prepare for Prince Harry's wedding, so when the time came for him to stand up on the best man podium, the elder prince was prepared. For revenge. To refresh, Prince Harry served as best man to his brother's wedding to Kate Middleton in 2011 and as with most wedding speech traditions, it was appropriately revelatory and embarrassing. Harry made sure to "him in the ribs a few times and embarrass him. And make him lose some hair." He called William "dude" and told Kate that he felt sorry for her for marrying a "bald man." Days before Harry's own wedding, William hinted at his impending best man speech by telling the UK press that "revenge is sweet." Specifics of the toast are kept under wraps, but guests at the party already revealed that the prince and two other groomsmen were quite "naughty." The speech certainly matched the light-hearted tone of the affair, which is a deviation from the usually stately and austere royal weddings. The couple, for instance, livened things up, dancing to Whitney Houston's "I Wanna Dance With Somebody (Who Loves Me)." Prince Harry himself made a speech at the reception. He acknowledged the guests: “You are the people that make ‘me’ me in my Harry life, which as you know is the backbone to Prince Harry." He then handed the floor over to his wife, Meghan Markle–yet another break in tradition–who proceeded to express her gratitude to her friends and the royal family. 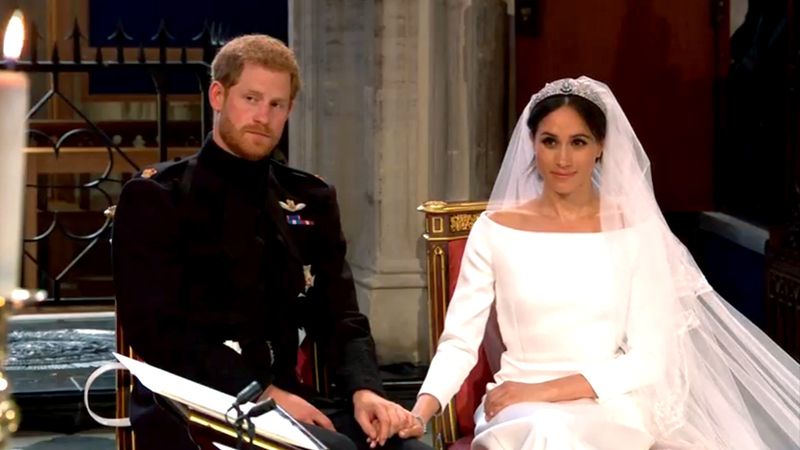 Other highlights of the evening including James Corden playing host, George Clooney dancing with both Kate and Meghan (but rejected by Fergie), Thor actor Idris Elba taking over the DJ booth, and Meghan Markle's rescue beagle Guy stealing the show at the reception (he also hitched with the queen en route to Windsor).